Since 2007, the city of Antwerp has been developing a vision and plan for the strategic area known as the Groene Singel. These studies have resulted in the fundamental concept for the Groene River that reflects the city’s decision to reinforce the area’s individuality and transform it into a “new hub” for Antwerp. In collaboration with Maxwan, Antea Group, HUB and Goudappel Coffeng, karres+brands won the tender to design the Groene Singel’s image quality plan. 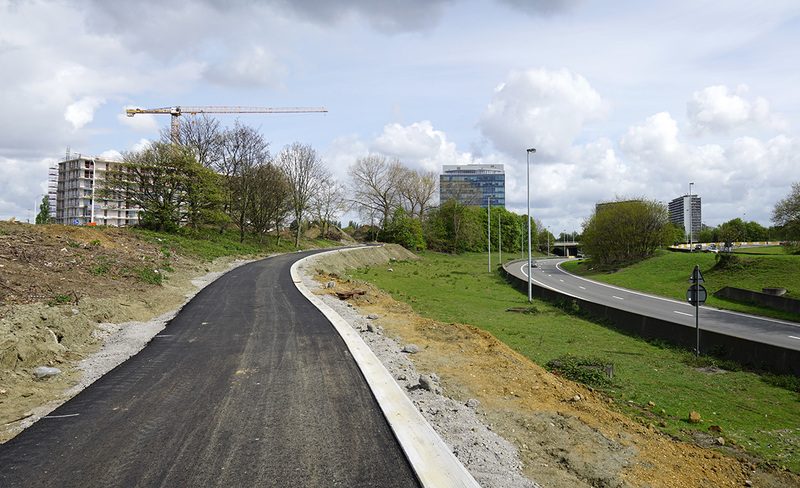 The Groene Singel is an empty green area strategically located around the ring road between the inner and outer city. It will play a key role as a catalyst for further urban development, while also increasing attractiveness and accessibility for humans, flora and fauna. 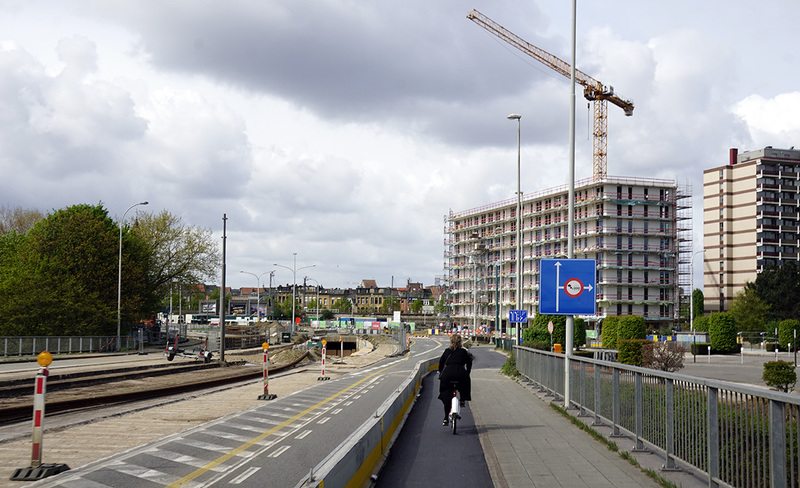 Given the area’s size, the city of Antwerp has decided not to overhaul it all at once, but rather to use a step-by-step approach to develop it into a cohesive part of the city. Since 2012, several studies have been carried out to elaborate, advise and partially design areas such as Lobroekdok and Singel Noord. 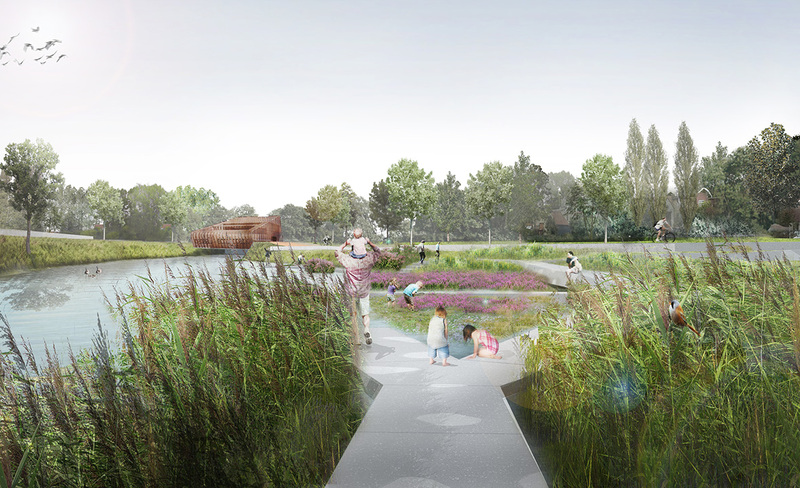 In addition, landscape designs have been created for Park Schijn and Zandvang Schijnloop as well as designs for Turnhoutsepoort and Cultuur Park. 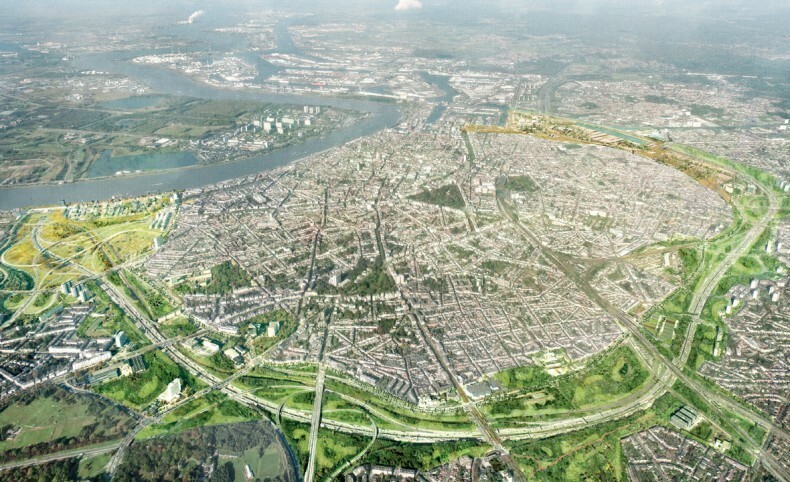 There is also a new masterplan for Antwerp Expo, Luitenant Naeyaertplein and a landscape design for the Knoop Zuid. 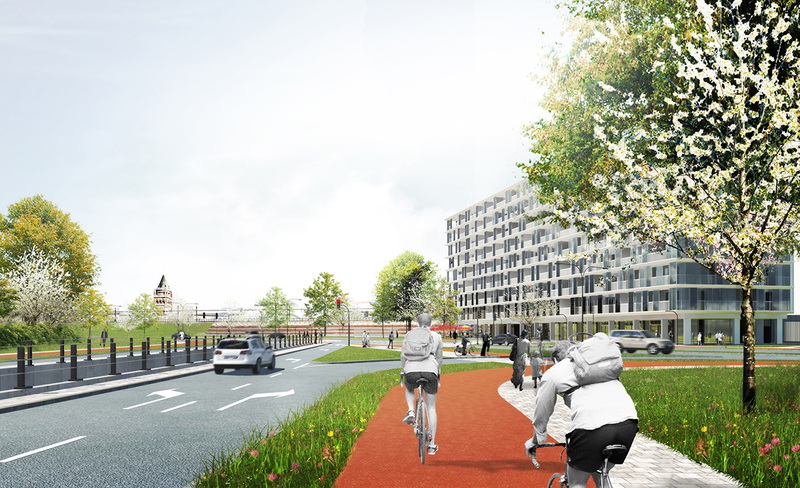 These key projects have indicated the direction the city wishes to take with the Groene Singel. The various tasks include establishing green, eco-friendly guidelines—which are also smart and affordable—for landscape, public space, ecology, and the integration of infrastructure and buildings. Several public and private projects have recently entered the implementation phase. For example, the Park Schijn construction is well under way and the first contours of the sand trap are now visible. The sand trap is part of Deurne Noord’s neighbourhood park, which includes specific areas for landscape development and an extensive programme. The design is based on a simple implementation of park and landscape—with the exception of the sand trap, which makes use of a particular feature in the Groot Schijn river to create a unique space. 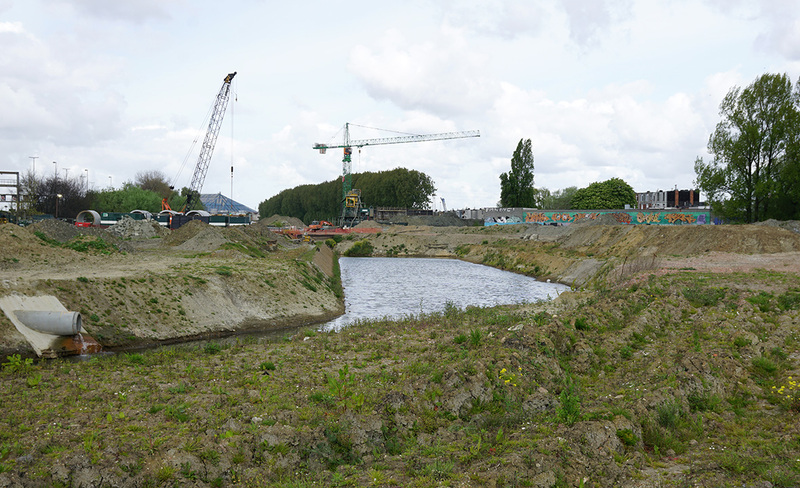 The sand trap is ecologically designed and embedded into the Singel’s green landscape. Through textures, flowers and colour, the selected plants offer an attractive look all year round. 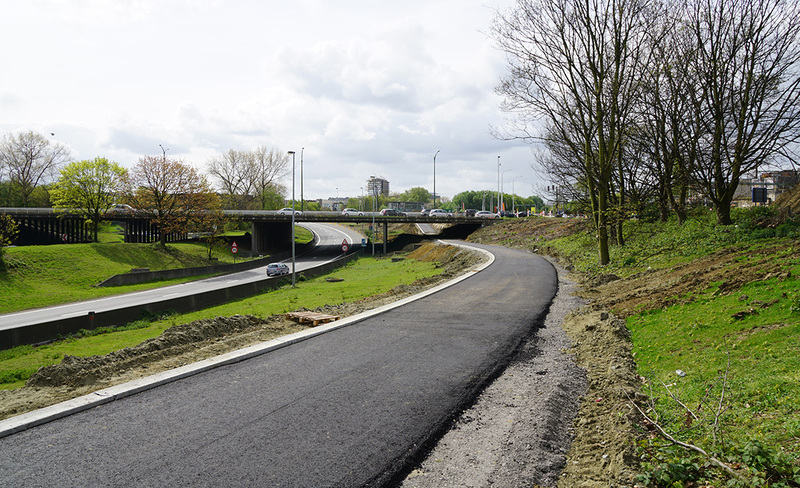 The Turnhoutsepoort construction and the integration of Park Oost are also in full swing. In both cases, the new Singel design and new building will be carried out by the CrepainBinst architecture firm. The preliminary landscape design is based on a thicket landscape, which aims to maximize conservation of the valuable ecological zones already on site. Near Rivierenhof, the roadside landscape will consist primarily of dense forest; whereas the city side will feature an open landscape with solitary trees. Additional emphasis is placed on the park’s function as a link from the city to the Rivierenhof. The biking and walking route between the city and Rivierenhof will be accentuated by the high ornamental blossoms of wild cherry trees. This redesign not only improves the public space of the Turnhoutsebaanpoort and the Statieleipoort, but also creates a high-quality entrance to the city. As a result, the Statieleipoort becomes an important location in the biking network, connecting the inner and out city networks. More information about the development of the Groene Singel and the city of Antwerp can be found in the book Antwerp City of Tomorrow: The renewal of urban renewal. This publication offers a unique look at Antwerp’s urban development policy.